I have a lot to talk about in a short post today. Now that’s a girl I can fall for. 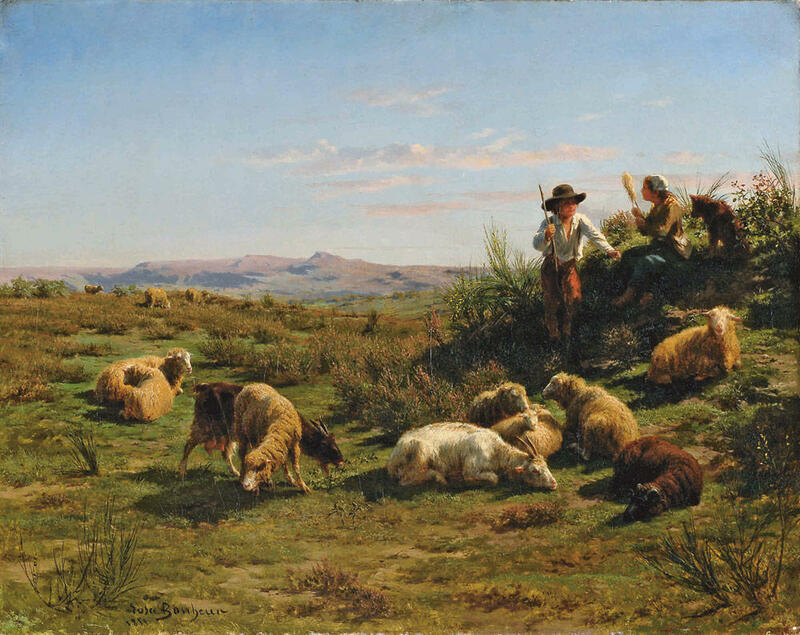 Here’s another of Rosa Bonheur’s works, just to give you a glimpse…. Painter and sculptor Rosa Bonheur (1822–1899) led a highly nontraditional life, especially for a woman in the nineteenth century. She kept lions as pets, was awarded the Legion of Honor by Empress Eugénie, and befriended “Buffalo Bill” Cody. She became a painter at a time when women were often only reluctantly educated as artists. Her unconventional artistic work habits, including visiting slaughterhouses to sketch an animal’s anatomy and wearing men’s clothing to gain access to places like a horse fair, where women were not allowed, helped her become one of the most beloved female painters of her time. Among the artworks discussed are The Horse Fair and Ploughing in the Nivernais. Along with her life story are a list of museums that house her work, a bibliography, and an index. Please, please find a copy. If you have a 3rd-7th grade artist you think would adore this inspiring book, let me know in the comments section. I’ll pick one of you at random and send your kiddo the copy I received from the publisher. Here’s Maryann’s website: maryannmacdonald.com Check out all those books! If you haven’t yet seen the documentary of Highlights magazine on Netflix, give it a watch. It’s called 44 PAGES, and I think writers — or ANYBODY who grew up with this sweet magazine — will find it a fascinating behind-the-scenes look. Picture book writers/readers: If you don’t follow Dylan Teut’s Mile High Reading blog, you should. Throughout the year, he posts bookcovers, previews of the following year’s releases, for us to ooh and ahh over. There are 103 of them in the linked post alone (Part 4 of 2019’s books)! Picture Book Builders is coming up on our 4th anniversary — September 2nd! Sheesh! I can’t tell you how quickly those four years have flown by. Whether you’re a loyal lurker or a regular commenter, THANK YOU, THANK YOU, THANK YOU for hanging out with us. We appreciate each and every one of you. I also want to thank my fellow PBBers, Linda Ashman, Kevan Atteberry, Pat Zietlow Miller, Jennifer Black Reinhardt, Tammi Sauer, Suzanne Slade, and Mike Boldt, as well as former PBBers (who sometimes fill in) Barb Rosenstock and Eliza Wheeler, for joining me in this endeavor. You guys are THE BEST! 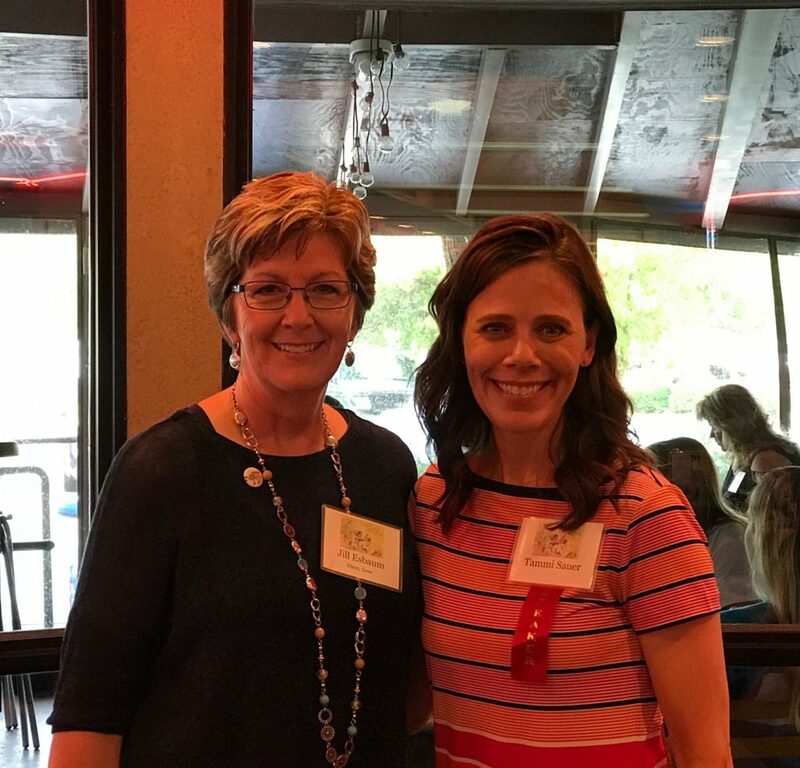 And look, I FINALLY got to meet Tammi earlier this month when she spoke at our SCBWI-Iowa picture book conference. Yay!!! Jill Esbaum, Maryann Macdonald, Rosa's Animals. Bookmark. And wrapped up in a gorgeous package, Anita. I really enjoy this blog. Thanks for the last 4 years all the hard work and all the terrific info. Happy Anniversary! 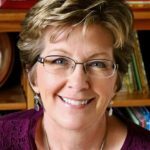 MG novels are the genre I write, but I loved reading picture books as a kid, and I still do. I give them as gifts to all the children in my life and watch them fall in love with words and story just as I did. Thank you for always introducing me to something new to fill that next gift bag. My pleasure, Kathy! Picture books are an easy form to love. Rosa’s paintings are beautiful! Congratulations to Maryann, and thank you, Jill, for bringing this one to our attention. Also, congratulations on the upcoming 4-year anniversary of Picture Book Builders!!! Woohoo! Rosa’s remarkable work makes this book a real treasure. Thanks for dropping by, Judy! Gorgeous book! I have a grandson in that age category, but it’s his 7 year-old sister who loves art. What a great artist to look up to! Congrats on the 4 years! Yay for us! It really is, Angie. And this is the sort of book a budding artist will want to pore over again and again. 🙂 Thanks for being a loyal reader! Wow, 4 years??!!! Sheesh!! Thank YOU, Jill, for getting this thing rolling (and KEEPING it rolling!). And what a fascinating character and beautiful book! Have fun with Tammi! And yeah, I hope that meeting with you happens sooner, rather than later. Going to the NY SCBWI conference? I am! Wow! Such gorgeous illustrations. Thank you for sharing this wonderful artist with the world! You’re so welcome, Danielle! This book is a real treat. Rosa’s illustrations are a feast for the eyes! What a gorgeous book. I will look for it. Thank you. I agree. And this book is full of them! Hope you love it, Sharon. Thanks for the introduction. It’s on my list. Love this blog! Thanks to all of you amazing busy people for keeping it going! Our pleasure, Beth! Thanks for your support! Happy Anniversary to you all! Love following this blog. And thanks for this rec, Jill–it looks wonderful! Thanks, Maria! This book is simply gorgeous. Congrats on your 4 year anniversary! I love your blog! I love animals and picture books. I’ve collected both since I was a kid. This is 64 pages of beauty, Dorothy. You’ll love it! What a beautiful book. I’m going to get a copy for my 17-yr-old daughter who loves art and nature. Wow! The cover of Maryann’a book is mesmerizing! Such an interesting and non-traditional MC, too. I will definitely look for this one! Grabs you, doesn’t it, Judy? Love seeing a picture book — sort of a coffee table book, almost — for this age range. I don’t know an aspiring young artist . . . but congratulations on your 4th anniversary. I love you guys! Wow! Tom and Lucy would love this! Great! I’ll add their names to the drawing, Katie! Oh, wow!! Carlos (my 3rd grader) would love this one. Thanks for highlighting it! Also, congratulations on four years of wonderful posts on picture books, my favorite kidlit genre. I always enjoy the posts. He will, Traci! Thanks for being a regular. This looks wonderful. Congratulations on your anniversary and best wishes for many more. Thank you, Cassie! Fingers crossed. I skip over some book blogs but never this one. Your group’s posts are exceptional. Here’s to many more years of outstanding craft. Congrats on 4 years. Love your blog and would love to win this book. I’ll put you in the drawing, Kathy! Thanks for the congrats. I was obsessed with the Rosa Bonheur story in my grandparents’ 1960s Childcraft book. Definitely looking up this biography! Thanks for these wonderful pieces, Jill, and how crazy it’s been 4 years since PBB started! Thank you so very much for starting it out, and having me as a part of the journey. I’m so happy you could be one of our originals, Eliza! Good to “see” you again! 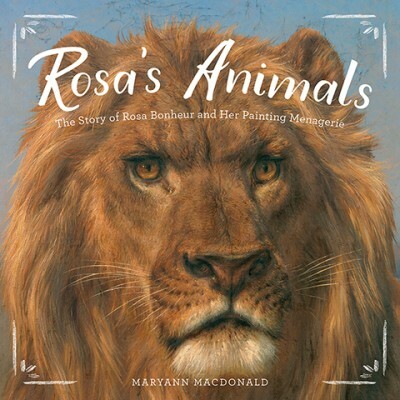 My animal-loving, budding-artist granddaughter would LOVE this book! Awesome! Excellent, Kate! I’ll put you into the drawing. Thanks for stopping by, Judith! This book is JUST RIGHT for a 3rd grader! 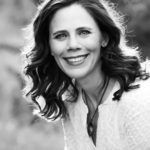 Jill, I am so appreciative of your posts. Congratulations on four years!!! Fantastic! Thank you for all you do! Well, happy anniversary to us! It was such a joy to meet you in person, Jill. Someone really needs to move Oklahoma closer to Iowa.